Effective leadership is not about personality. Granted certain personalities enable leaders to be more natural at certain skills. Those with more outgoing, task driven personalities, tend to drive change and innovation more comfortably. Those with influencer type personalities tend to draw people in and communicate with greater enthusiasm and create buy in. People that are more analytical tend to be more systematic and detailed when it comes to strategy development. And those that are more stable and consistent tend to build a more relational environment. But effective leadership is not about personality. And it’s definitely not about title. It’s about the work the leader does. Effective leaders do the right work, the right way. Effective leadership requires having an effective system. 1- The system for understanding opportunities, market potential and people. Intuitive leaders have an innate sense of trends and understanding product development, market needs, opportunities and people. Walt Disney, despite naysayers, somehow knew people would drive to the orange groves of Anaheim, California and pay $1.00 to go to an amusement park. We now have Disneyland. Thanks Walt! Steve Jobs was absolutely convinced that a market of computer enthusiasts would appreciate beautiful fonts and artistry when it came to computer design. He was right. By the way, when I talk about markets, that also includes followers. In business, that’s employees. Great leaders understand employees and people. They understand what matters to them and will inspire and engage them. Tony Hsieh, founder of Zappos Shoes, seems to have an uncanny sense of how to inspire and keep employees. In comparison, a typical call center environment has roughly 150% annual employee turnover. Zappos experiences less than 39% which included turnover resulting from promotions. He determined that people want to be happy at work and created an environment that really supports that. For some business owners they are very effective at understanding market opportunties, potential and followers. Some people THINK they are but really miss the boat. In order to lead effectively, leaders – business owners – must be honest with themselves and consider how effective they are at really understanding markets and people. Regardless, there is a system for this and it really comes down to knowing the truth. The Level 7 Principle of Knowing What’s True suggests we get objective information about our theories. So if you think the market might be interested in a product or service, do a little testing or investigating first. Do some research. Gather some data. Over the last year or so I’ve been exploring the idea of launching a new, very laser focused implementation service centered on helping companies get systemized. It’s all about systems documentation and the systems development cycle. The idea of developing a systems driven business has become more mainstream and easy to understand. I recently launched a 6 week training and implementation program specifically focused on walking businesses through the specifics of that process. It was very cool seeing the number of people who jumped on the opportunity to get involved in the process. If you want information on the next launch, click this link to get on the early notification list. 2- System for establishing goals, vision and direction. Most business owners I meet have a pretty good idea of the direction they want to take their businesses. It’s sort of floating around in the atmosphere and they pull nuggets of their vision out from time to time as needed. But often it’s not written down and laser focused. This lack of focus and direction hurts a business more than most people know or care to admit. Great leaders are very clear and definitive about the vision, goals, culture, standards and objectives of their business. There is a system for developing these as well. In virtually every case, when I support a business owner in the process, I have found that walking them through our system for defining and getting these elements in writing elevates their confidence and ability to lead their organization dramatically. This process must following the steps behind understanding markets and potential however. It doesn’t make sense to create a vision based on a situation where there is no or limited market potential. In our Level 7 Full Access or i2 Program, we have a whole series of systems that are designed to help business owners identify and clearly articulate their company goals and objectives. Good leaders figure out a way to effectively get their message – their vision – across to others. Some leaders are natural communicators. People literally hold onto their every word. In some cases people might have some challenges or hang ups communicating goals and objectives. To those types I say, your people are not mind readers. Figure out a way to get your message out in a way that will inspire and engage them. Good leaders develop effective and consistent systems and forums for communication. The hold meetings. They send memos. They do a video. They enlist others to tell the story. But they get their message out until people get it and OWN it. 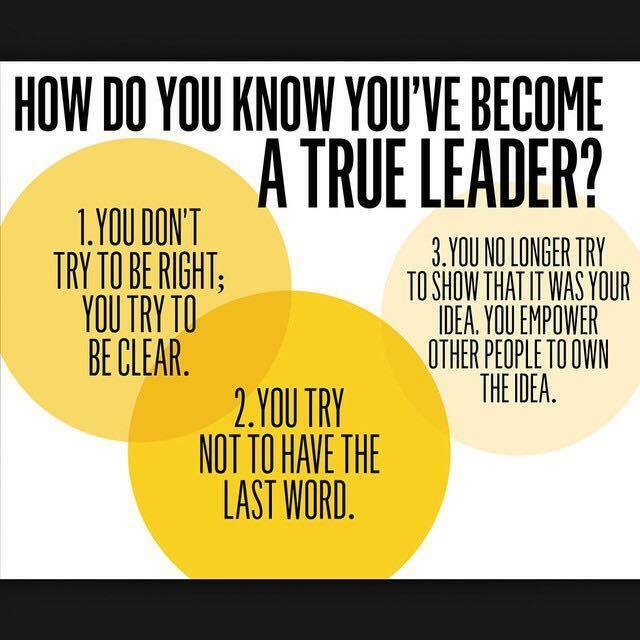 How will you know if you are leading well? Very simply. You have followers. Not employees who are engaged cause they are being paid. It’s more than that. You have people that are engaged, enthusiastic, committed and understand where the business or organization is going. They want the result like you do. If you don’t see evidence of that in your business, go to work evaluating and developing your leadership systems. If you are a business owner, whether you like it or not, you have the role and responsibility of leadership. Some are gifted…other’s need support, guidance, tools and encouragement to be their best. Like the guy in this video. Do you need a push? Are you capable of more and know it but just can’t seem to get to where you want to be. Maybe I can help. I rarely do this but I am currently accepting a few motivated business owners who are ready to transform their business and their life – get more free time, reduce stress and build a scalable, consistent and predictable business that grows well. If you would like to explore what working together might look like, cost, the outcome and benefit, without any pressure or obligation – (seriously I only work with people who really want it), then click the button below, fill out the quick form and let’s start a conversation. Are You Performing the Leadership Dance? Several years ago a good friend named Scott was visiting from out of town. My wife, Scott and I went bowling one evening for fun. There is no other reason for me to go bowling other than for fun because I am pretty bad at it. Kind of like golf too. Anyways, at one point in the evening Scott threw a strike and proceeded to perform a rather silly little dance as he chanted, "Follow the leader, leader, leader." It became a running joke for several months. We have had many conversations about leadership within the context of these Daily Messages. Becoming an effective leader is actually quite simple if you understand it's purpose and the work required of a leader. What is the purpose of leadership? In it's simplest terms, leaders create followers. The difference between being an average leader and a great leader comes down to how focused, committed and enthusiastic their followers are. 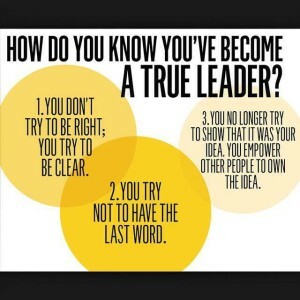 The work of the leader is essential broken down into 3 parts. 1- Understanding the people you want to attract to your mission. 2- Casting a compelling vision for all involved. 3- Effectively communicating the vision to create excitement and focus. Leadership is not a title. It, like any other work in your business, is a function. A person understanding the power and benefit of great leadership will engage in activities focused on the three elements listed above. When you do that, you can't help but create an organization where people want to "Follow the leader, leader, leader." I am going to be in hot water after sharing this one, but I just couldn’t resist. The other day my wife and I were chatting about an event I was preparing to have at our home. As I shared with her some of the things I was doing she began to tell me what I should do differently…um…I mean… she offered her suggestions. Not another word was said. It wasn’t necessary. Being in charge means people are listening and taking direction. But there are varying degrees and methods of being in charge. On one hand, we can be “The Boss”. On the other we can be “The Leader”. At the end of the day both could potential accomplish the same results. The Boss gives direction, perhaps demands performance. In exchange for time and work, the boss will compensate an individual in the form of a paycheck or some financial reward. The individual that is performing the work doesn’t have to be enthusiastically engaged or even care about the end result. In some cases, their only motivation is to do just enough to maintain the relationship where there is an ongoing exchange of money for their time and effort. Being a boss is easy. It doesn’t require much other than convincing someone to do the work for pay. There is a distinct difference between being a boss and a leader. Leaders can effectively engage people in ways that don’t require compensation. If you have ever served in a non-profit environment that utilized volunteers, you know what I am talking about. Leading volunteers is a whole new world. Leading volunteers requires we get people engaged and inspired to support a mission or goal. 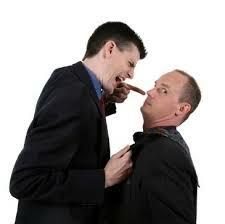 Essentially the leader and the boss accomplish the same thing, they facilitate getting a result. So why do we want or need to become better leaders? More and more people are looking or requiring a sense of purpose and meaning in the work they are doing. This is not a generational thing by the way. We hear that the millennials are all about work environments that offer them a sense of purpose. This is no longer limited to this generation. Seeking purpose and meaning in work is crossing over into all the generations now. What that means for us as leaders is we must learn how to show our people how the organization can satisfy these needs for them. They need it to be more than a paycheck. I understand if your business is making widgets it might be hard to connect your work to a higher mission. Perhaps your organization can adopt and support a cause that will help you people see how your business is contributing to the greater good. I worked with a client in the real estate industry that understood that his business was more than just selling and help people buy homes. He committed his business to helping his people get better and improve every day. He adopted the philosophy that they are in the people development business and they just happen to sell real estate. This cause was very compelling for the people on his team. I’ve also worked with businesses that determined that a percentage of their revenues would go to help kids in disadvantaged areas by exposing them to computers and teaching them programming and coding skills. 2- People Will Fight Harder to Win. Leaders effectively engage people in a way that draws out their best. When done well, people in your employ that are enthusiastic about the mission will apply more effort and energy by their choice. They will fight to win. During the Gulf War in the early 90’s, Saddam Hussein invaded Kuwait and the United States and their Allies came to Kuwait’s aid. Now I believe the US Military Forces are the best trained and equipped military force in the world. In addition to having the resources they need, they have established a great culture. Every soldier I have met has incredible national pride and is willing to give their lives for their country and our freedom. They will resist any force that threatens our freedom. The culture comes out of a history of great leadership through US history. When the US attacked the Iraqi Forces and Hussein’s coveted Republican Guard they did so with ferocity and precision. The battle began with an aerial assault from the Air Force and Navy that seemed to decimate Hussein’s Army. When the ground forces finally entered Iraq, the Iraqi soldiers, who seemingly had lost heart and motivation to fight, quickly gave up their weapons and positions. Hussein was a boss. His military was enlisted to do a job but lacked the heart and enthusiasm for Hussein’s mission and vision. Interestingly, as the United States and Allies war against ISIS and terrorism we seem to be struggling a bit to overcome a seemingly inferior force. Why? Terrorists fight for a cause; an ideology. They are willing to die for it. It is more than a paycheck for them. Regardless of ideology, their system fosters enthusiastic, focused and engaged support from their followers. The point is that a great leader and organization can accomplish so much more with a fully engaged and passionate band of followers. 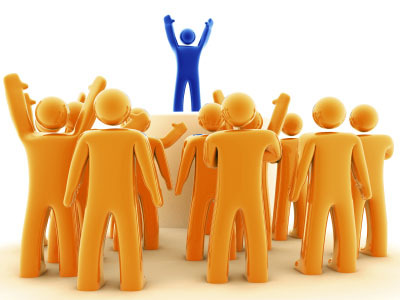 Great leadership incites greater participation and potential for more innovation and ideas. Great leaders are wildly effective at communication the goals, vision and values of an organization. Bosses often don’t. As such, people working under a boss lack clarity as to the purpose and results they are there to accomplish. Leaders make it very clear and invite people to look for ways to help achieve the goals, vision or values. Leaders ask for ideas. And when people genuinely care about the organization, they are very willing to offer their insights, ideas and innovation to help get there. In fact, asking them to participate in the vision and goals of the organization inspires their engagement. Without asking people to support in the ongoing innovation of the organization, the Boss is often the only one capable of providing relevant innovation to improve the business. That can be a daunting task considering the potential exponential improvement that comes by improving all the areas of the organization versus focusing on just a few that the Boss can handle on their own. Are you the boss or are you the leader? Be honest with yourself. No judgement here. Just an opportunity to improve. Are you clear on your vision, goals and values? Do your people really know them and do they REALLY care? If not, you might be the boss. Being the leader requires intentional engagement and inspired communication that raises enthusiasm, fosters buy-in and invokes loyalty to the organization. Whether you are the Boss striving to be a better leader or a competent leader looking to improve here are a couple starting points. Begin by defining your vision, your goals and values. Get them in writing. Ask yourself the question, will these matter to our people. If not, revise. If so, continue. Communicate, communicate, communicate until they get it. And you will know when it happens and it will be an amazing thing.